The riches from New Horizons’ flyby of the Pluto system haven’t stopped coming yet. NASA has released this incredible image of moon Charon (right, click to enlarge). Scientists were surprised to see an enormous canyon carved across the moon, stretching more than a thousand miles, making it four times the size of the Grand Canyon and twice as deep in some places. 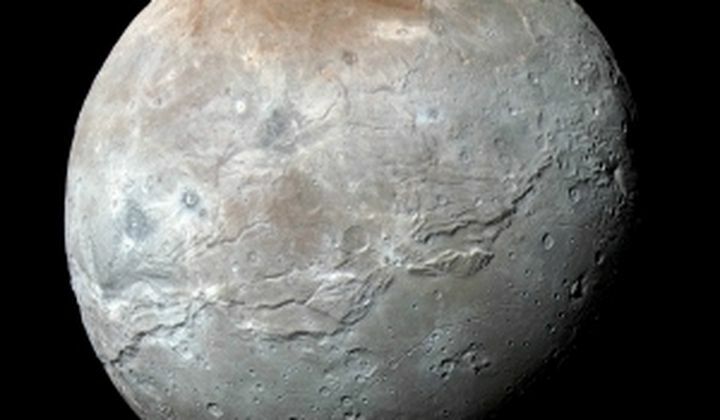 “It looks like the entire crust of Charon has been split open,” said John Spencer, deputy lead for geology and geophysics investigation at the Southwest Research Institute in Boulder, Colorado, in NASA’s statement.